The Suicide Squad. 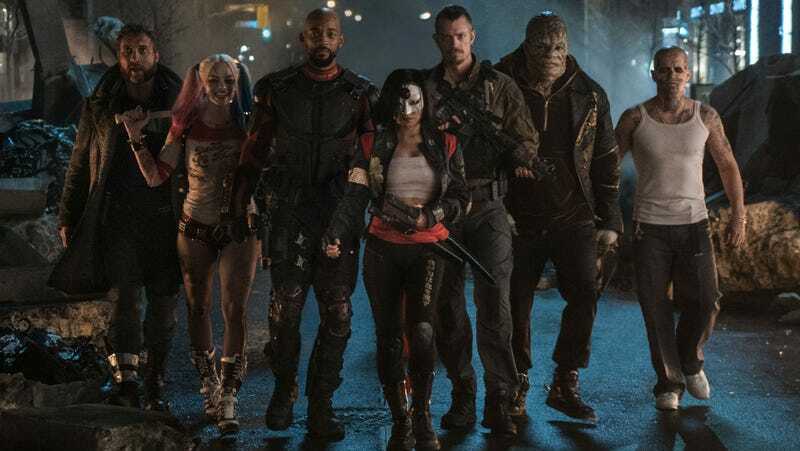 All Images: Warner Bros.
With the release of Suicide Squad, chapter three of the DC Extended Universe is now in the books. We now have another piece to the puzzle that started with Man of Steel, continued in Batman v Superman, and will go on next year in Wonder Woman and Justice League. Here are the biggest changes that Suicide Squad has made to the larger story of the DC Extended Universe. This is the biggest takeaway from the entire film. After the Suicide Squad defeats the Enchantress, Amanda Waller meets with Bruce Wayne and gives him all the information she has on metahumans, which includes both the Suicide Squad and a few other familiar faces who’ll become members of the Justice League. Wayne also tells Waller that next time, they won’t need her team—he’ll have one. Justice League teaser! In that final, mid-credit scene, it’s heavily suggested that Waller knows Batman’s secret identity. If she does, that will likely be an ace up her sleeve in a future movie. While Harley is put back in jail after the film’s finale, her puddin’ Joker breaks her out at the very end of the movie. That means DC’s most dastardly duo will be out in the wild when upcoming movies like Justice League happen. At the moment, they aren’t rumored to appear in JL, but there’s a good chance they’ll be part of the upcoming Batman solo movie. Of course we know Batman and the Joker are long-time adversaries; we get a quick glimpse of that in Suicide Squad. But the more surprising interaction is between Batman and Deadshot. The Caped Crusader is responsible for putting the assassin in jail—in front of his daughter no less—and Deadshot wants revenge. One of the biggest surprises in Suicide Squad was a cameo by Ezra Miller as the Flash. We know Zack Snyder directed the scene, in which the speedster captures Captain Boomerang. So when Justice League begins, the Flash will already be fully suited up and fighting crime on his own before becoming a member of the team. Metropolis got the brunt of it in Man of Steel but now, a second city in the DC Extended Universe has been decimated. We didn’t see a lot of how the city’s population felt about this supernatural, superhuman occurrence but considering how Batman reacted to the destruction of Metropolis, but chances are it’s not going to garner metahumans as a whole any good will. Even before the Enchantress and her brother started their apocalypse level event, the U.S. government was freaking out about metahumans. Wouldn’t you if you saw the kind of destruction in Man of Steel and Batman v Superman? It’s why they let Amanda Waller put together the Suicide Squad in the first place. Well, even though they were successful, and Batman is putting together the Justice League, you have to think we haven’t heard the last of the government’s involvment in the world of superheroes and supervillains. We never do. The saga of the DC Extended Universe will be expanded on June 2, 2017, with Wonder Woman. However, that movie is set in the past so the next time we’ll visit this modern timeline is November 17, 2017, in Justice League.